When you are overweight it is all too easy to slip into becoming clinically obese. Only a few hundred calories a day will mean the difference between losing and gaining weight... rapidly or slowly, they all add up to the end result you are looking at right now in the mirror. While it is not easy for all people to do what is required to manage or lose weight, it is SIMPLE for everyone to do, if you want to lose weight and TAKE CONTROL. People who are overweight and want to be slimmer must take care to get exercise and to regulate their diet properly with the help of a doctor or a dietician. The last thing you want to see is that needle on the scales going up more every time you step on them. Here are some dos and don’ts to help you manage your weight. * Do Exercise - it is the key to effective obesity management. You cannot achieve weight loss unless you burn more calories than you gain. The body works to convert every particle of food into glucose, protein, fat, amino acids, fatty acid, vitamins and minerals. Glucose is often given a preferential treatment when it comes to absorption by the body. Therefore if you fail to exercise, you are likely to gain much weight within a short time. If you have a slow metabolism, weight gain can happen easily even when you do not eat much. * Do eat regularly - Your body has a clock that functions based on previous experience. If you eat at regular intervals all the time, you will feel good. * Do eat the right foods - fruits and vegetables are recommended since they play a vital role in weight loss. Bowel function will be improved and it will limit the possibility of harmful bacteria contributing to production of toxic by-products such as fermentation of by-products which increase the sugar levels and, in turn, increase weight. * Do have adequate sleep: Adults should have at least 8 hours of sleep. This will reduce stress levels in the body and so prevent the likelihood of stress-induced weight gain. Those who have adequate sleep have less chance of being obese. * Do avoid stress – anything that causes your blood pressure to rise needs to be avoided. 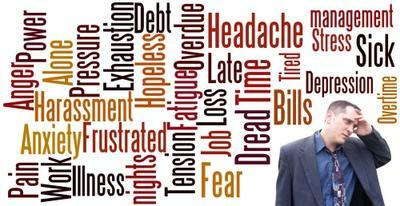 Stress causes the rise of certain hormones such as serotonin which affect metabolism. * Don’t sleep any more than eight hours a day. Enough sleep is good; too much is bad. It makes you feel more tired and so you will not want to do anything the least bit energetic. How much is too much? More than 8 hours of sleep. * Don’t eat French fries and candies - this is simply a prohibition. If you do it will ruin any goals you have managed to achieve in obesity management. You should certainly also limit cakes, ice-cream, cream and deep fried foods. * Don’t sit around the house and feel sorry for yourself just because you can’t eat what you want. There are many things in life that you can enjoy. Get out and do them!